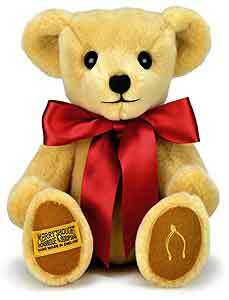 The perfect first Merrythought Teddy Bear. 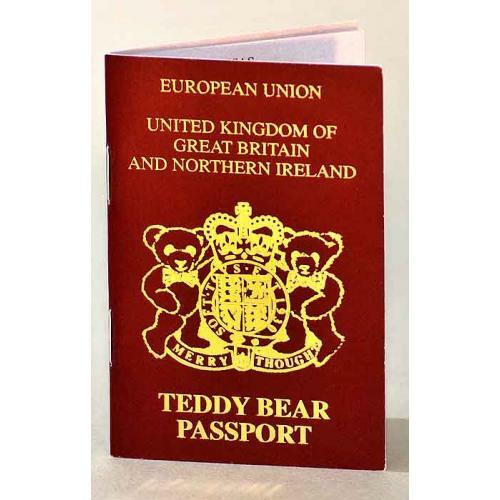 A wonderful soft feel, first bear made in luxury woven plush with bean filling and wool felt pads. Product details: Size 8 inches sitting, Non Jointed, surface washable only, famous Merrythought wishbone embroidered onto one wool felt paw, wears a scarlet red satin bow. Only a Few Left of this colour.